The parents of a construction worker killed on the job in Ottawa say they're devastated the trial of the companies and supervisors he worked for has been pushed back to May 2019, more than three years after their son died. 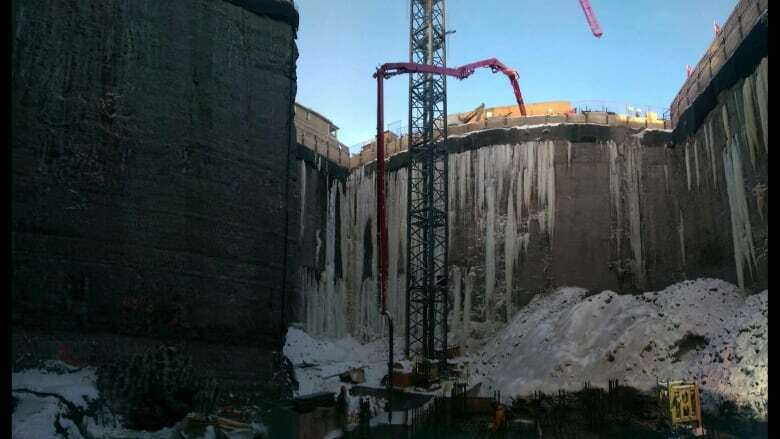 Olivier Bruneau, a 24-year-old surveyor, was crushed by a block of ice in March 2016 while working at the bottom of a nine-storey-deep hole at a condo construction site in Ottawa's Little Italy neighbourhood. Charges against the developer, Claridge Homes, the subcontractor, Bellai Brothers Construction Ltd., and two site supervisors, were laid in March 2017 by the Ontario Ministry of Labour under the Health and Safety Act. "My son is dead and I have to wait more than three years to find out what happened. To mourn in such a situation is very difficult," Christian Bruneau said in French. The trial has been postponed to accommodate the lawyer for Claridge Homes, Michael Edelson, who was not available before May 2019. Edelson declined Radio-Canada's request for an interview. The Crown said it was not easy to identify trial dates that suited the scheduling of three lawyers, the accused, the Crown and the court. All parties finally agreed on a five-week trial, to take place between May and July 2019. "Of course it's not ideal," said Crown attorney Line Forestier. "But as a Crown, I do not want to have three different trials with each of the lawyers. I want the case to progress as efficiently as possible." But Christian Bruneau called the delay heartbreaking. "As a family, it adds insult to injury," he responded. "The insult is the damage they did to my family, with Olivier who died. Then the insult is to say, 'Well, I'm not available before May 2019 to go to court.'" The long delay for a court date also affects other investigations into the death. A coroner's inquest cannot be held until the court case is complete. Similarly, a Ministry of Labour report into the death cannot be provided to Bruneau's family until after the trial. The Crown acknowledged the wait is difficult for the family, but Forestier said she's relieved the accused parties haven't attempted to invoke the Jordan ruling to stop the proceedings. The ruling, issued by the Supreme Court of Canada in 2016, imposed new deadlines on the justice system to avoid unreasonable trial delays. Trials involving less serious offences must now be wrapped up within 18 months, and those involving more serious charges, including murder, face a 30-month deadline. All parties in this case agreed to sign a waiver saying they wouldn't invoke the Jordan ruling to stop the proceedings.